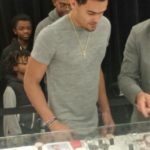 Trae Young, the top draft pick of the Atlanta Hawks has been everything Hawks and NBA had hoped he would be as the NBA season is just about three weeks old. He’s also looking for specifics when he’s in the market for a new watch. 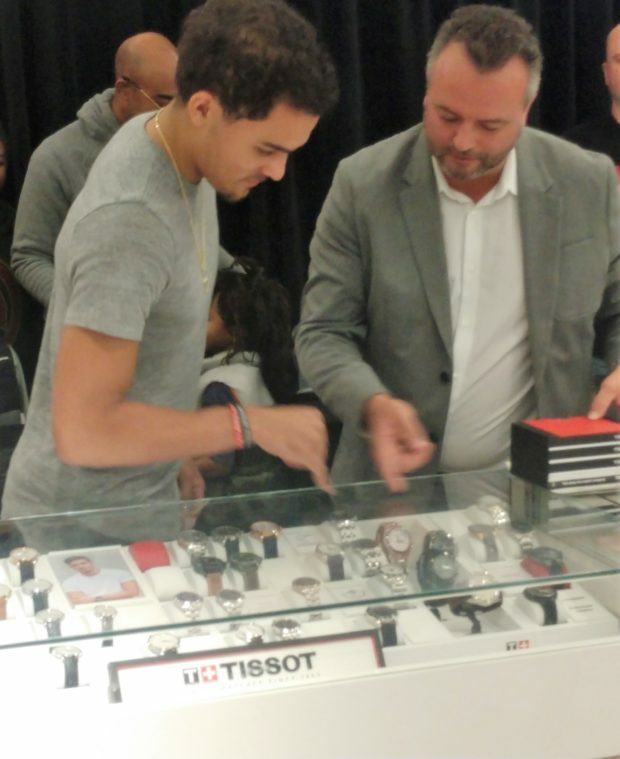 So a partnership with Tissot was something he had his eye on, even before the NBA Draft. 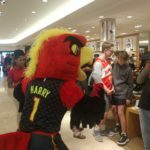 So much so, that Young spent the better part of Sunday afternoon shopping in front of media and greeting fans in the Tissot area of Dillard’s at Perimeter Mall. 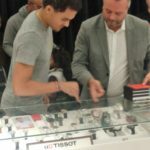 Tissot offers distinguished and accessible Swiss watches using special materials, advanced functionality and meticulous design detail to create precise and stylish pieces. 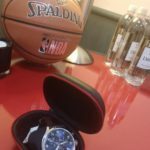 As it continues to create pioneering creations, Tissot stands by its signature, “Innovators by Tradition.” In addition to other designations, Tissot is the Official Timekeeper and Watch of the NBA at us.tissotshop.com. 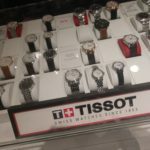 Take a look at the Tissot watches and their prices. 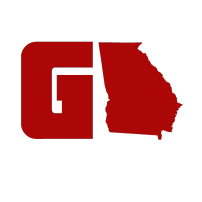 They are affordable and make great holiday gifts. Young said this might be the easiest year he’s ever experienced when it comes to holiday shopping for family and friends. 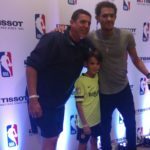 Tissot is heavily vested in the NBA. They’ve even created the Tissot Buzzer Beaters program.